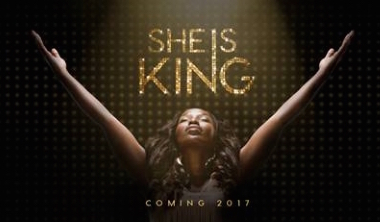 An Indiegogo campaign is running to raise finishing funds for She is King, a South African musical film. There are just 21 days left to contribute, get involved and be a part of this story. A local team has shot a film that celebrates African culture, history and music in a contemporary, fun film. It's a timeless story of a talented young woman traveling to Joburg, City of Gold, to become a star. It features some of South Africa's best known music, a brilliant cast of characters in a universal, warm story. They have a committed local distributor and some international interest, but they need funding to finish the film. These independent filmmakers need US$ 100 000 (thats around 1.4M rands) to complete the film and ready it for international sales. One of their goals on this movie was to show off South African music and they have tracks from Grammy winners Ladysmith Black Mambazo, Juluka, Brenda Fassie and a number of traditional Zulu musicians. The film stars Khabonina Qubheka and Aubrey Poo. For more information visit the She is King campaign website.